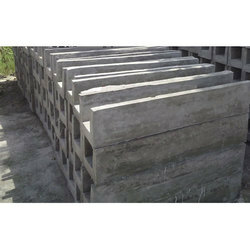 We are engaged in manufacturing RCC precast cemented Boundry Poles. We are making using best quality of cement and iron Bars. The product is in Glazed finish. Made by experienced engineers of our team. Available in all sizes. 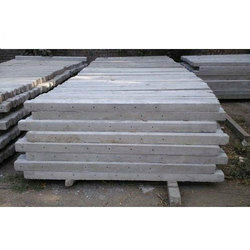 Our company holds vast experience in this domain and is involved in offering Precast Cement Fencing Pole. We make use of latest technology to fabricate a wide range of Concrete Fence Poles that meet the demands of fencing. These concrete fence poles are in compliance with defined standards and can also be customized as per the specifications of our clients. Cement fencing poles are prestressed so that they inhibit high strength. These cement poles are utilized for transmission and distribution of electricity. These poles are made with our advanced technology and machinery, and are highly durable in nature. They are resistant against corrosion and tolerant to wind, rain and sun. By conducting low electrical property value, these poles offer excellent safety standards. We have high specialization in manufacturer, supplier and exporter of supreme quality Rectangle RCC Pole. We introduce ourselves as a leading manufacturer of precisely designed RCC Y Pole.